W600 Series includes various of subclasses that are suitable for sewing tubular goods of knit fabrics. This Series responds more specifically to a wide variety of materials, providing high efficiency and quality. Production is increased with ease of operation. Available for various kinds of applications with attachments, etc. 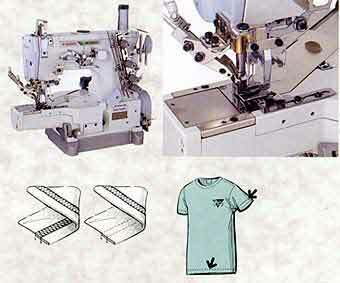 3-needle, cylinder bed, interlock stitch machine with top cover thread for plain seaming. For binding tape on light to medium weight fabrics such as underwear, T-shirts, etc. Use of needle plate, feed dog, presser foot and front cover designed specifically for tape binding enables smooth binding. 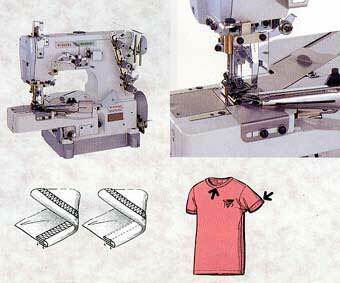 This means when you are sewing flies on briefs or joining shoulders on T-shirts, the cross seam sections pass through the machine easily. 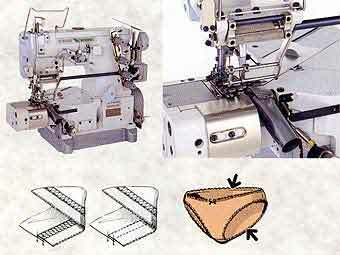 2-needle, cylinder bed, interlock stitch machine with top cover thread for binding tape. For covering (flattening out overlock seams) medium weight fabrics such as sweat suits. 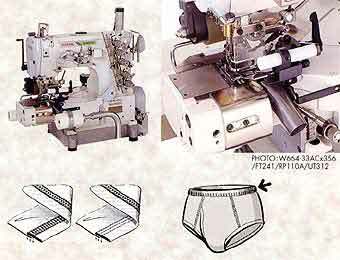 Uniform seams are produced with the parts designed for covering. Each of the needle plate, differential feed dog and preser foot has the fabric guide (the presser foot fabric guide is a fixed type). The front cover includes the right and left fabric guides (the right fabric guide is a left-to-right adjusting type). The middle feed dog tooth on the differential feed dog can be adjusted up and down with a screw. 2-needle, cylinder bed, interlock stitch machine with top cover thread for covering (flattening out overlock seams), with top cover thread trimmer and underbed thread trimmer. 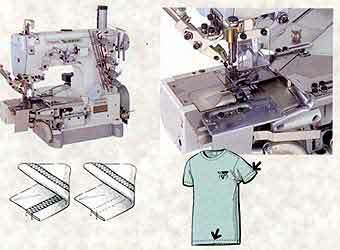 For covering (folding over overlock seams) light weight fabrics such as T-shirts, blouses, etc. Each of the needle plate, differential feed dog and presser foot has the fabric guide (the presser foot stitch guide is a left-to-right adjusting type). 2-needle, cylinder bed, interlock stitch machine with top cover thread for covering (folding over overlock seams), with top cover thread trimmer and underbed thread trimmer.  For attaching elastic lace on women's underwear, etc. 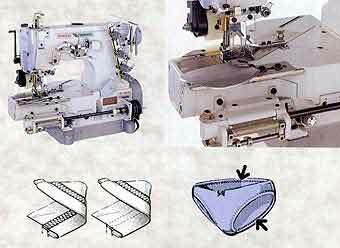 The fabric trimmer (FT device) trims the fabric edge neatly during sewing to produce clean finished products. *The metering device (MD device) feeds elastic according to the feeding amount of fabric. Therefore the elastic is uniformly fed if the sewing speed is changed. Electric type (with stepping motor)? 2-needle, cylinder bed, interlock stitch machine with top cover thread for attaching elastic lace, with fabric trimmer, metering device. 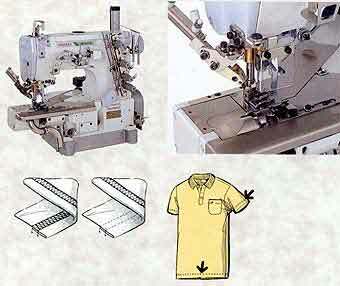 For hemming bottoms of light to medium weight tubular goods such as T-shirts, polo-shirts, etc. 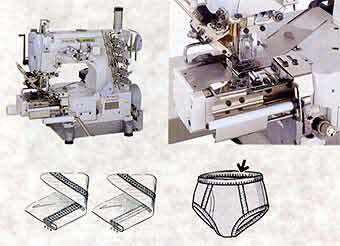 Equipped with the fabric guide (adjusting type) designed specifically for hemming bottoms. Suitable for width of hem from 25 to 30mm. 2-needle, cylinder bed, interlock stitch machine with top cover thread for hemming bottoms, with top cover thread trimmer and underved thread trimmer. The fabric trimmer positioned to the left of the needle (FT540) rims the fabric edge neatly during sewing to produce clean finished products. 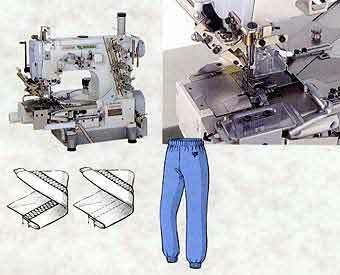 Equipped with slide type pneumatic hemming guide (HG device) that folds a hem smoothly. This easy-to-use hemming guide is air-operated with the knee switch, reducing operators' fatigue. 2-needle, cylinder bed, interlock stitch machine with top cover thread for hemming bottoms of tubular goods, with fabric trimmer, pneumatic hemming guide, top cover thread trimmer and underbed thread trimmer. The fabric trimmer positioned to the left of the needle (FT540) trims the afabric edge neatly duing sewing to produce clean finished products. 2-needle, cylinder bed, interlock stitch machine with top cover for hemming bottoms of tubular goods, with fabric trimmer, top cover thread trimmer and underbed thread trimmer. 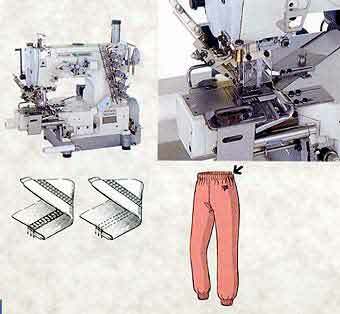 For inserting elastic into waists of light to medium weight tubular goods such as sewat pants, pajamas, etc. Equipped with slide type pneumatic heming guide (HG device) that folds a hemi\ smoothly. This easy-to-use hemming guide is air-operated with the knee switch, reducing operators' fatigue. Equipped with rear puller (RP device) that pulls the fabric forcibly from the back of the needle drop hole. Therefore sewing the fabric that is difficult to be fed is easy. 3-needle, cylinderbed, interlock stitch machine with top cover thread for inserting elastic into waists of tubular goods, with pneumatic hemming guide, rear puller, top cover thread trimmer and underbed thread trimmer. 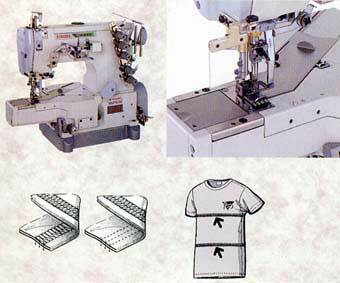 Equipped with slide type pneumatic heming guide (HG device) that folds a hem smoothly. 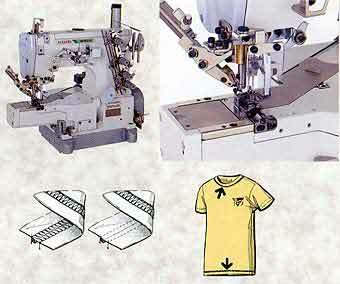 This easy-to-use hemming guide is air-operated with the knee switc, reducing operators' fatigue. The fabric trimmer positioned to the left of the needle (FT540) trims the fabric edge neatly during sewing to produce clean finished products. For attaching knit elastic (a ring cut from tubular knit fabric of flexible material) to light to medium weight tubular goods such as waists of briefs, etc. 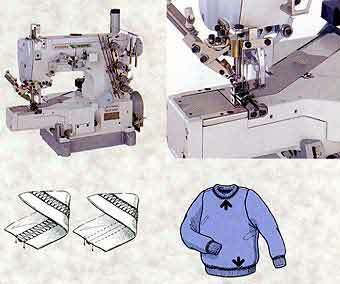 Sews knit elastic that is folded in two or three onto the fabric. For attaching flat knit elastic to light to medium weight fabrcs such as waists of briefs, etc. *Equipped with rear puller (RP device) that pulls the fabric forcibly from the back of the needle drop hole and fabric tensioner. Therefore the fabric and elastic of different sizes can be sewn uniformly. With the drop mechanism that allows the knife to rise when the machine stops. 3-needle, cylinder bed, interlock stitch machine with top cover thread for attaching flat knit elastic to tubular goods, with fabric trimmer, rear puller, underbed thread trimmer. For hemming waists of briefs, women's shorts or swimsuits of which the sides are not closed and simultaneously inserting elastic. The lower metering device (MD520) feeds elastic according to the feeding amount of fabric. Therefore the elastic is uniformly fed if the sewing speed is changed. Thanks to rear puller (PR device) that pulls the fabric folded into two or three by the binder focibily from the back of the needle drop hole, a sewing operation is evenly and accurately performed. 2-needle, cylinder bed, interlock stitch machine with top cover thread for hemming flat garment and simultaneously inserting elastic, with metering device, rear puller.